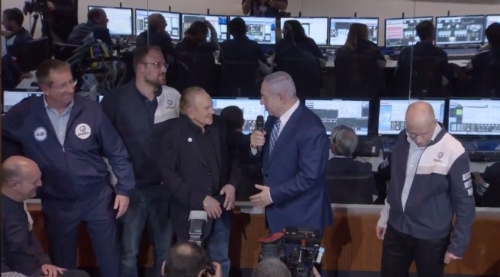 \n\n\nIsrael succeeded in getting its spacecraft in orbit around the moon, however an engine problem during the landing attempt caused the spacecraft to crash. Prime Minister Netanyahu in attendance said shortly after the news that \"if you don't first succeed, try again.\" No doubt Israel will try again. A nation came together on what started as a Google Lunar X Prize entry. It can celebrate the effort and achievements it made along the way. This page contains a single entry by Marc Boucher published on April 11, 2019 3:31 PM. A Short Documentary on the Space Force was the previous entry in this blog. SpaceX Trifecta is the next entry in this blog.